The Colorado Division of Homeland Security and Emergency Management announces a new tool for situational awareness in the state for our partners and the community. The report will be distributed Monday - Friday at 11 a.m. or daily if the State Emergency Operations Center is activated. View or download the March 31, 2014 Colorado Daily Report. DENVER — Friday, March 28, 2014 — The Division of Fire Prevention and Control today presented its report on fire aviation to Gov. John Hickenlooper that recommends ways to improve Colorado's response to wildfire. "The Division and its stakeholder advisory group really focused in on what we can do to address the wildfire threat in Colorado," State Fire Director Paul Cooke said. “The recommendations include options to enhance the State's aerial firefighting capabilities without purchasing a fleet of air tankers". The report is in response to law passed last year (Senate Bill 13-245) which created the Colorado Firefighting Air Corps within the Division, but provided no funding for aircraft. Instead the law directed the Division to submit a report to the Governor and the General Assembly concerning strategies to enhance the state's aerial firefighting capabilities, by April 1, 2014. The Division focused on ways to Increase the likelihood that a fire is suppressed in the first hours of its existence. "As simplistic as it sounds, our goal is to keep wildfires that threaten people and property small," Cooke said. "We do this by developing the capability to detect fires earlier and locate them faster, and providing the local Incident Commander with data needed to make informed decisions regarding suppression strategy." Focus attention and efforts on initial attack—the most critical time to generate an informed and effective suppression response is the first few hours of a fire. Develop the means to ensure that existing suppression resources are being used to their maximum effectiveness while ensuring responder safety. Implement a state-wide information management system that provides shared, collaborative, real-time information amongst all participants in Colorado’s wildfire management system. Develop early detection and remote sensing capabilities by securing aircraft equipped with modern fire-detecting sensors that should be operated to actively identify and locate small fires in high-risk wildland and wildland urban interface areas. Contract for four multi-mission rotor-wing aircraft to facilitate the initial attack response in Colorado’s rugged and remote locations. Increase the number of Single Engine Air Tankers (SEATs) under the operational control of the state from two to four. Instead of procuring state-owned air tankers, the Division recommends Colorado should contract for the use of existing air tanker systems during the fire season. An exclusive use contract for two large air tankers is recommended. Cooke says, "The large capital investment cost of procuring, revitalizing, and modifying air tankers does not present a best-value approach to meet Colorado’s wildfire management goals." The report also suggests that the large air tanker need could be addressed with a call-when-needed contract, meaning that the State is not paying for the aircraft unless they are needed on a fire in Colorado. Cooke advised the Governor that this approach makes good fiscal sense. If the fire season turns out worse than anticipated, we then pay to have the tankers in Colorado. The report also suggests that the large air tanker need could be addressed with a call-when-needed contract, meaning that the State is not paying for the aircraft unless they are needed on a fire in Colorado. The total cost of the improvements recommended by the report is $33.6 million in FY 14/15 and $23.6 million in subsequent years. These amounts would be reduced by an estimated $11.9 million annually, if the State entered into call-when-needed agreements for large air tankers instead of exclusive use. * This cost would be avoided if the State entered into call-when-needed agreements. If the large air tankers were needed on a fire, their cost would be charged to the fire. According to Cooke, the improvements and capabilities recommended by this report will not ensure that Colorado will be free of wildfires. "Even under the most highly effective wildland fire protection systems some fires will continue to escape control efforts," Cooke said. "Under extreme weather conditions, such as those ignited during high wind events, a small percentage of wildland fires will become large and damaging." He adds that "efforts must be taken to create homes and communities that can withstand such fires; develop policies and procedures to promote public and firefighter safety; and educate the public that wildland fire is a natural part of Colorado’s landscape." 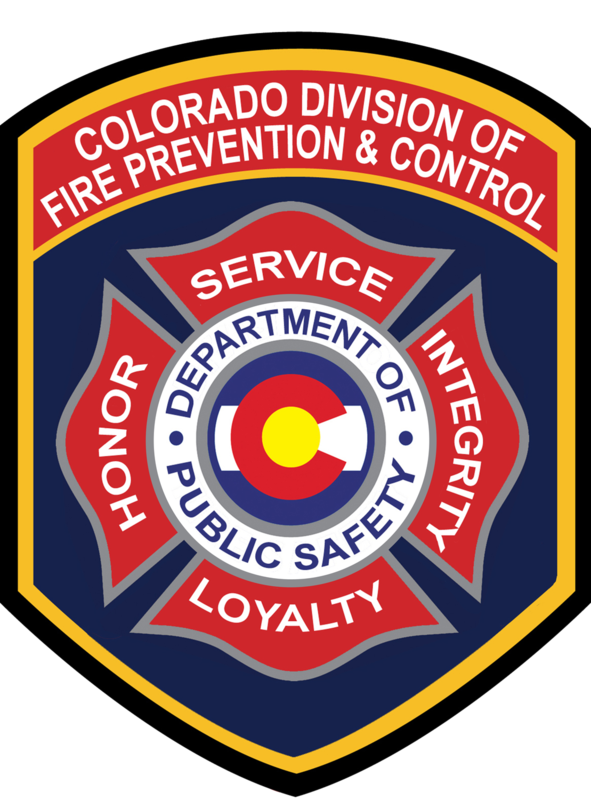 The report suggests that recommended improvements and capabilities will enhance Colorado’s ability to support local firefighting forces in a more efficient and effective, manner. "The result, according to Cooke, "will be a decrease the losses suffered as a result of wildfire in Colorado as well as the overall cost of fire suppression and post-fire recovery." The full report can be found at http://dfs.state.co.us. News release posted on behalf of Ouray County. 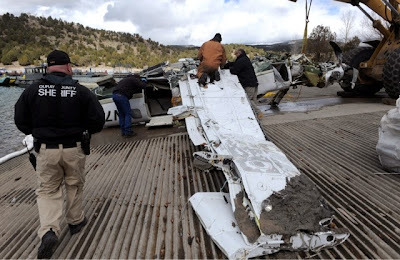 Ridgway, Colorado – Ouray County, Colorado- March 27, 2014 - Recovery efforts today were focused on ensuring the recovery of the victims, as well as the fuselage of the plane, and any other remaining debris. Recovery crews have been successful in locating and retrieving the bodies of five (5) victims. The Ouray County Coroner, Colleen Hollenbeck, has positively confirmed identification of the victims. They have been identified as Jimmy Hill, 48; Katrina Barksdale, 40; Xander Barksdale, 8; Kobe Barksdale, 11; and Seth McDuffie, 14, all of Gadsden, Alabama. Next of kin of the victims have been contacted, and they are aware that the recovery efforts have been successful. The Coroner has maintained close communications with the victims’ family members throughout this tragic situation. From this point forward, the NTSB and FAA will take charge of the investigation of the crash. The plane has been secured for the investigation. This recovery effort has required the expertise and assistance of several local, state and federal agencies, as well as the efforts of plane manufacturer Daher-Socata; and commercial dive and salvage contractors Inland Marine of Denver, Colorado, and Beegle Aviation of Greeley. Ouray County, Colorado Parks and Wildlife, Colorado Emergency Management, the National Park Service, Ouray County EMS, Ridgway Volunteer Fire Department, Ouray Volunteer Fire Department, Town of Ridgway Marshall’s office, City of Ouray Police Department, Colorado State Patrol, as well as representatives from FAA and NTSB have all worked closely on this difficult operation. OurayCounty especially thanks the restaurants, lodges, and other businesses in Ouray County for their assistance, and San Miguel, Gunnison and Montrose counties for their assistance in providing additional emergency support personnel. Photos and news release provided by Ouray County Office of Emergency Management. We will be having a press conference at 4:00 pm today (Mountain time) at the EOC, located at the Ouray County Land Use office in Ridgway. The land use office is at111 Mall Road, coming into Ridgway from the north (Montrose), the road is on the left, right across from the “Welcome to Ridgway, Home of the Grammys” sign. We will be providing an update of the day’s recovery efforts. Sheriff Mattivi and Kirsten Copeland will be available for questions at that time. I intend to send a press release right after the press conference with a summary as well. We will have a conference call capability at this location, and I will send out a bridge number a bit later. Recovery operations today were focused on accurately locating the fuselage and evaluating logistical needs to recover the victims and the fuselage. 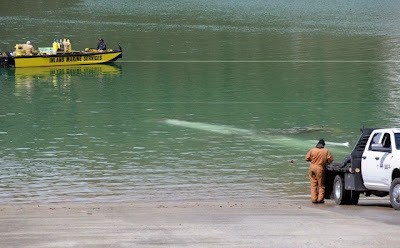 Based on sonar images obtained today, it appears that the fuselage is intact, and that the wings are still attached. Dive teams were on site today to confirm and mark the location for futher recovery efforts. Arrangements are being made to have additional crews and equipment in place as quickly as possible. No victims have been recovered at this time, and no identifications are available. The sheriff’s office has taken statements from eye-witnesses, and that information will be provided to the NTSB and FAA for their investigations into the cause of the crash. Ridgway State Park remains closed to the public through Monday so that search and recovery efforts can continue. Colorado Parks and Wildlife will reassess the closure status later tomorrow. Recovery operations today are concentrating on locating the fuselage in the reservoir and retrieving both the victims and the fuselage, as well as cleaning up any remaining debris. The National Transportation Safety Board (NTSB) and the Federal Aviation Agency (FAA) will be handling all aspects of the investigation into the cause of the crash. Dive teams are expected to be on site by early afternoon. Search teams are on the reservoir in boats this morning. As additional information becomes available, it will be provided. Ridgway State Parkremains closed to the public today so that search and recovery efforts can continue. March 22, 2014, 8 p.m. - Ridgway, Colorado – Ouray County, Colorado - Search and rescue operations in Ridgway Reservoir have ceased for the night at approximately 7 p.m. Recovery operations will resume in the morning. The plane crashed about 90 feet from shore in 60-90 feet of water. There are believed to be no survivors, but no victims have been recovered as of this evening. It is believed that five (5) people were on board, and the plane was enroute from Bartlesville, Oklahoma to Montrose, Colorado, about 25 miles north of Ridgway Reservoir. No identities of those on board have been released at this time, pending notification of next of kin. The plane was registered to a corporation in Alabama. The Ouray County sheriff expects to have a dive team and additional resources on Sunday to finish recovery operations and any necessary clean-up of spilled fuel or debris. Colorado State Parks has closed the campground and day facilities temporarily, pending completion of the recovery efforts. 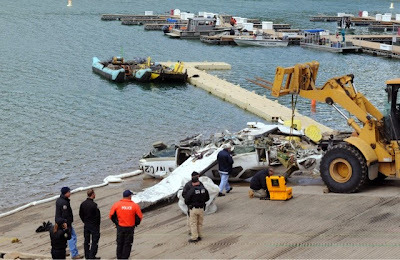 This afternoon a small plane crashed in the vicinity of Ridgway Reservoir, just north of Ridgway, Colorado in southwest Colorado. It is unknown at this time whether there are any survivors. Search and rescue is on site searching for survivors. Rescue dive teams are in route to the scene. Further details will be released as they become known. Colorado has more than its fair share of floods, flash floods, and wildfires. Last year was particularly devastating, with numerous wildfires and many areas experiencing floods. During the past week, in our effort to build a Weather-Ready nation, we have presented information to you on how to stay safe and minimize property damage during flood and wildfire threats. When a flash flood warning is issued for your area, you need to quickly move to higher ground out of drainages or other low spots. It may be just a short run or climb to that higher ground. Nearly half of all flash flood fatalities occur in vehicles. Do not drive through a flooded roadway. Instead turn around, do not drown. The water may be much deeper than you think because it may not be possible to see below the surface of flood waters that the roadway has been washed away. One to two feet of water will carry away most vehicles. Additional flood safety information can be found at www.floodsafety.noaa.gov. Areas burned by wildfires are highly susceptible to flash floods, especially within the first two or three years after the wildfire has occurred. Wildfires by themselves destroy much property and occasionally result in fatalities within Colorado. There are actions you can take to protect yourself and minimize the wildfire threat to your property. If you live near or within a forest or rangeland you are encouraged to make a defensible space around your home and other structures. Information on how to make a defensible space around your home can be found on the Colorado State Forest Service website at http://csfs.colostate.edu/pages/defensible-space.html. River flooding from snowmelt or persistent rainfall can cause extensive damage to property. There are estimated to be 65,000 homes and 15,000 commercial, industrial and business structures in identified floodplains within Colorado. FEMA has online maps that show if you are in a flood risk area. To access those maps go to https://msc.fema.gov. If you live in a flood prone area, buying flood insurance is the best thing you can do to protect your home, your business, your family and your financial security. To find an insurance agent and obtain other flood insurance information, go to FEMA’s National Flood Insurance Program web site at www.floodsmart.gov. As a reminder there is generally a 30-day waiting period from the time a flood insurance policy is purchased to when it goes into effect. Additional information on floods and wildfires is available from your local National Weather Service web sites. Preparedness and safety tips are available on floods, wildfires and other hazards in Colorado on the Colorado Division of Homeland Security’s community preparedness website: www.READYColorado.com. Information is also posted daily on Facebook at www.Facebook.com/READYColorado and on Twitter at www.Twitter.com/READYColorado.